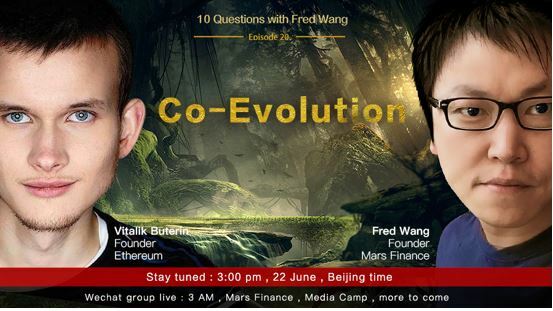 A Window Into The Future: Vitalik Buterin Talks Blockchain, Cryptocurrency Evolution On "10 Q With Fred Wang"
June 22, Beijing Time, Vitalik Buterin, founder of Ethereum joins Fred Wang of Mars Finance at "10 Q with Fred Wang". Two cryptocurrency innovators recently met up for an explosive interview that uncovered some of the secrets of the market that were, to date, well-guarded by crypto insiders. Now available and accessible, at all times, to every new and seasoned investor, the information revealed during the conversation between Mr. Fred Wang and Mr. Vitalik Buterin during the 20th episode former’s show, 10 Questions with Fred Wang, a show executively produced by Vivi Lin, a prominent Chinese TV personality. It promises to serve as a guide for all those who are looking to become long-term players in the market through gaining a better understanding of its principles and workings. Before delving into the specifics, it is worth mentioning some of the impressive achievements of both the interviewer and the interviewee. Mr. Fred Wang is a serialpreneur, who went on from establishing a gaming company listed in HK — Linekong Group (HK.8267), to founding Mars Capital, an information service platform focused on the blockchain industry. In addition to the latter, Mr. Fred Wang went on to cofound Geek Founders Capital, which has so far invested in over 100 promising startups in the mobile and web industry. Known for his candor and keen insights into all matters concerning application software, the Internet, as well as the blockchain, Mr. Fred Wang juggles all his roles with unprecedented finesse and ease. His forthright and relatable manner is what has undoubtedly made his show, 10 Questions with Fred Wang, a smashing success in China, while its popularity is quickly growing in other countries, too. It came as no surprise, then, that Mr. Fred Wang’s personality meshed so well with that of his interviewee, Mr. Vitalik Buterin, whose name will be writ in gold in the history of cryptocurrency. The Russian-Canadian programmer is a co-founder of Ethereum, the second-largest cryptocurrency with a current market value of approximately USD 53.6 billion. 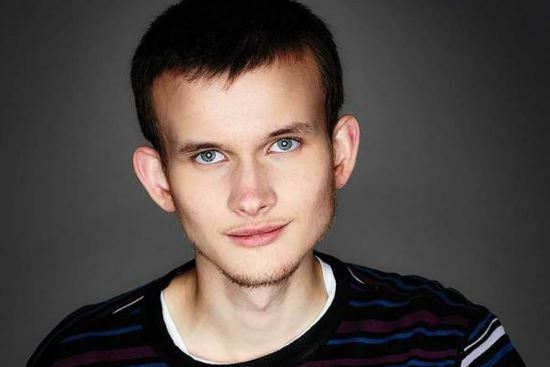 Mr. Vitalik Buterin is also a co-founder of Bitcoin Magazine, in which he published his seminal article, Ethereum: ANext-Generation Cryptocurrency and Decentralized Application Platform, on January 23, 2014. Mr. Vitalik Buterin rarely gives interviews, so his appearance on the 10 Questions with Fred Wang show marks one of the few times he has chosen to share his wisdom with the public, and as such greatly honored Mr. Fred Wang by accepting his invitation. The full interview transcript can be read here. 原文标题: A Window Into The Future: Vitalik Buterin Talks Blockchain, Cryptocurrency Evolution On "10 Q With Fred Wang"
CZ Zhao, founder of Binance joins Fred Wang of Mars Finance at "10 Q with Fred Wang"